I like some of Lancaster’s memoirs (Such a Pretty Fat, for instance) but others are not for me. Haven’t yet read Bitter is the New Black but I’ve heard good things. Enjoy! Sounds surprisingly dark – and definitely not what I thought a Greyladies book would be! It only makes me like Greyladies books more to know that they publish books like this as well as the charming fluff that I know them for. Yes, it’s very on the nose. Sounds great – going on my reading list right now. 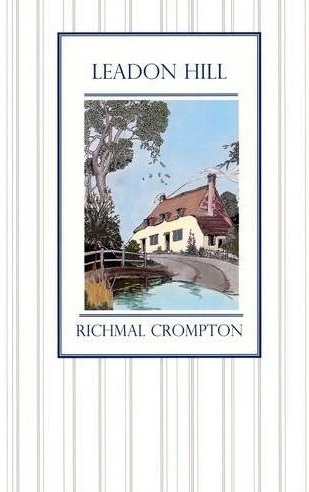 I hadn’t realised that Crompton wrote anything other than the William books. This sounds very different, but definitely worth exploring. 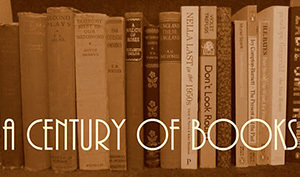 She wrote many, many, many other books! I’ve only read two of her books (and none of the William ones): this and Family Roundabout, which Persephone published several years ago. Would you believe that, despite reading having read 26 of her books for adults (I’ve just counted!) I haven’t read this one? But it sounds very like Crompton. She does unsettling, gossipy settings brilliantly – a few of her novels are more saccharine, but when she’s on form, she can be so good. Narcissa is one of her best, about a woman who seemingly lives a life of service to others.. but is really horrifying selfish and ruins the lives of everyone. That’s her darkest; something like Matty and the Dearingroydes (which I believe Greyladies also publish?) is rather more charming. I’ve not read an RC in ages, and you’ve made me keen to do so now! That seems very appropriate in a way; of course you’ve never read the book that is actually easy to obtain and in print! You need to torture the rest of us in talking about your favourite Crompton titles that haven’t been in print for fifty years. I’ve still got an eye open in every bookstore I visit for Frost at Morning. I’ve got the Greyladies edition of Matty and the Dearingroydes waiting on my bookshelf and I’m cheered that it will be a little lighter! My mom comes from a really small town and my grandparents, several aunts and uncles and lots of cousins still live there. Every time I visit I thank the heavens that my mom escaped and that I was raised in a city. The amount of gossiping and backbiting that goes on in that town is scary. Leadon Hill sounds fascinating and so true to life. My father’s was born in a small town (coincidentally, the same town Alice Munro is from) and though he grew up in cities my grandparents returned there after retirement. It wasn’t as bad as Leadon Hill but it was and is still a hotbed of gossip and grudges are held for decades. Me again! I’m intrigued by the people who are glad to have been raised in a city – I’m always so grateful that I wasn’t! Quite apart from the beauty of the countryside, and the ability to wander around without fear, I actually love that people know each other and even that people gossip about each other. It feels less lonely, I guess. For all that is written about isolation in a city, I’ve never lived in a neighbourhood where that was the case. I’ve always known my neighbours and walking to the grocery store or library it is impossible to go too far without bumping into someone you know. That said, you do get to have more control over the level of their involvement in your life. As for wandering around without fear as a child, I did that too! There is nothing particularly more dangerous about living in a city than in the country, the dangers are just different. Sounds like you had the best of both worlds 🙂 Maybe I’d feel less nervous in cities if I’d grown up in one! This book sounds very different from the William ones which I enjoyed as a kid.